I love it. Any stool? 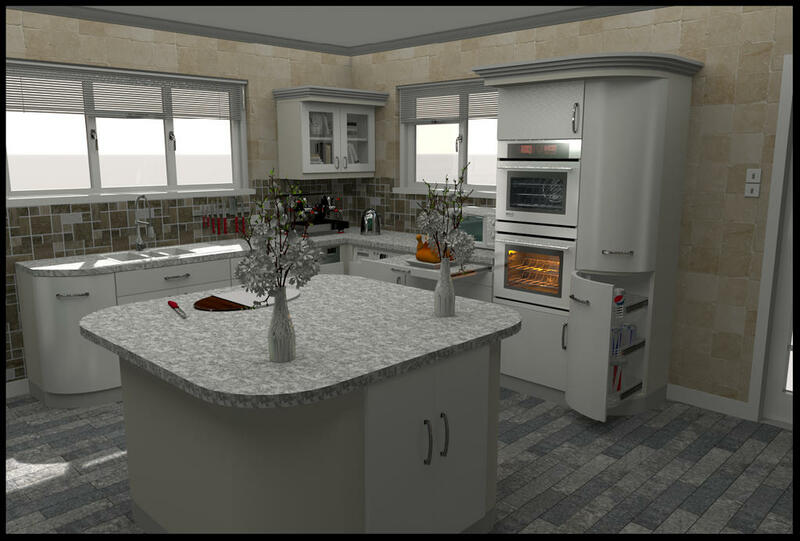 Took this arrangement a little further and organised quite a large kitchen using most of the units. Hope you like them, if anyone has any suggestions or comments please share them. May have to build a house for it now. this kitchen is lovable, how did you made the upper part of the cabinets? The part that is stepped. @ veroniQ there is room for stools just not included any. @ Adele i drew walls around the cabinets, created a room in them, deleted the walls, exported the room, after unchecking ceiling and display area, then copied it, added 20 mm to the width and length, 4 times, then stacked them up then used the alignment tool on 2 edges to position them. Could have just used walls, adjusting the wall thickness for each layer, but that would mean 4 exports. 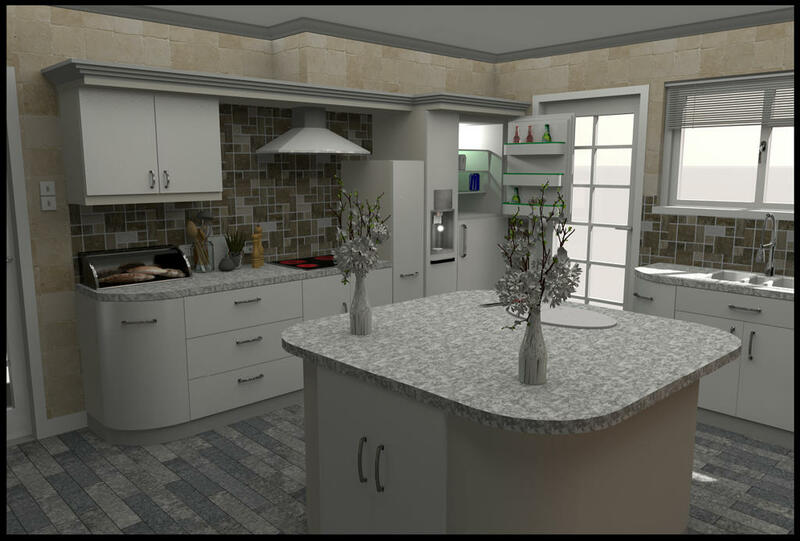 Having realised that the handle i used on these cabinets should not have been shared i have cancelled all the links for downloading the files, images containing the cabinets are ok.
My apologies for any inconveniences. Yes, I forgot to add 'FREE' in 'We can find all kinds of free handles on 3dwarehouse..."
As far as I know, all models available on Trimble 3D Warehouse are distributed under the same license. By the way, in case some of you wonder how some Reallusion models found on Trimble 3D Warehouse could end up in Sweet Home 3D free models library, it’s because Reallusion granted me the right to distribute these models under CC-BY license too.